Research in UK accelerator institutes, John Adams and Cockcroft, are in large extent based on graduate training, centered around active engagement in forefront projects and work on accelerator facilities. Another training experiment we would like to mention is the short option course on accelerators for undergraduates, which was delivered in Oxford by Prof Riccardo Bartolini and Prof Andrei Seryi. 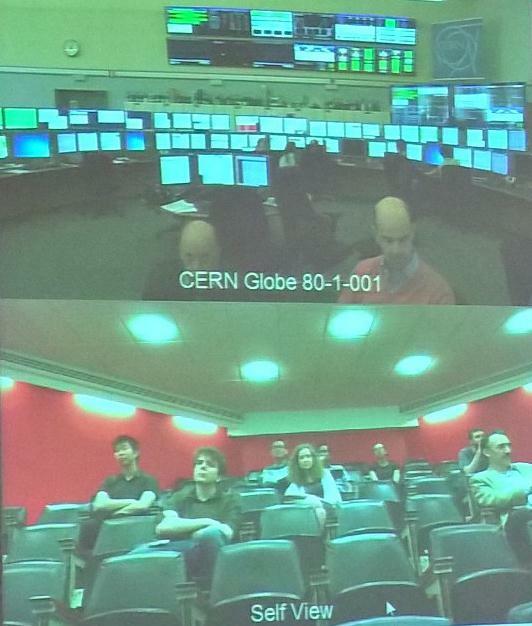 A novelty in this course was a video bridge to CERN Control Room organized during one of the lectures of this course. Prof Emmanuel Tsesmelis and Prof Ted Wilson were delivering that lecture and also giving comments how LHC works and what is on the monitors of the control room, just from the very heart of the biggest operating collider. This training experiment was proven to be very stimulating for students and we should consider expanding it to other courses too (of course carefully, so we would not distract too much our colleagues in CERN Control Room). And image below is a shapshot of the display showing two sites connected. 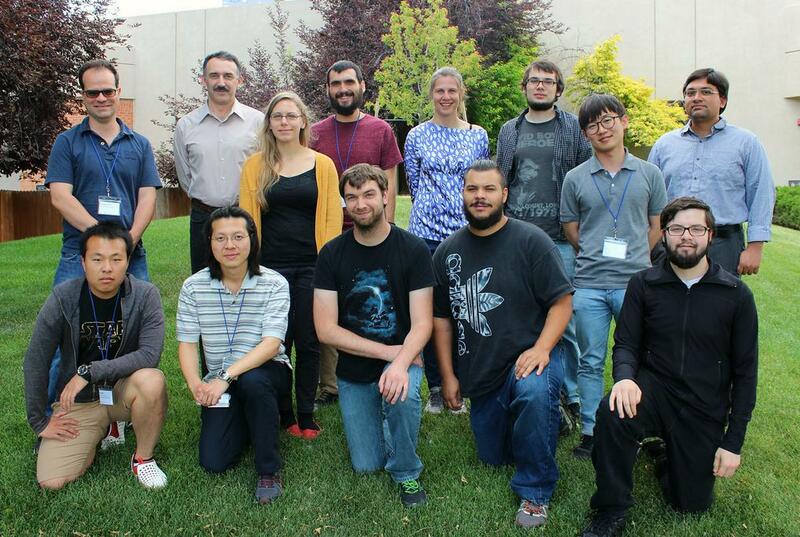 Finally, we would like to mention USPAS of June 2016, where JAI colleagues Prof Andrei Seryi and Dr Aakash Sahai (Imperial College /JAI) were teaching the class “Unifying physics of accelerators, lasers and plasma”. In this class, we introduced something novel for USPAS (although standard for JAI) – the mini projects, when students focus on one particular design, trying to study it in detail. Such students’ projects usually run for 8 weeks in JAI, by the end of which the first-year graduate students would have detailed optics, magnets, RF design of, let say LHeC ring or linac options (topic of the design projects change every year). In case of USPAS everything needed to be compressed in one week, therefore we were primarily focused on approximate estimations of the key parameters of the machine we were designing. And the machine the students were tasked to design was an X-ray source based on a compact storage ring of electron beam with on-orbit and on-energy injection by a laser plasma acceleration system. One more challenge as well as an additional strong motivation for students was the aim to submit, based on the work in USPAS class, an abstract of a paper for the North American Particle Accelerator Conference - NAPAC 2016. This ambitious goal was successfully achieved, the machine was designed in sufficient details, an abstract of the NA-PAC paper was submitted, and students are now working, in truly collaborative spirit, on the paper that will be presented at NA-PAC in October. We plan to make such mini-project approach standard for the USPAS classes we will deliver in the future, and also hope that this positive experience will be used by our colleagues for other USPAS classes too. On the photo above – class of USPAS 2016 “Unifying physics of accelerators, lasers and plasma”.